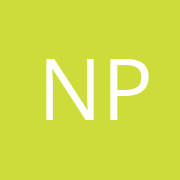 Do you distinguish between these medications, or can one use them interchangeably? The answer is not entirely known but over the past several years we've had some insights into it. Over time with accumulation of data from clinical trials, it's fairly clear that ACE inhibitors have a greater quantity of data in patients with heart failure had established coronary artery disease in terms of their role in cardioprotection. And so, most contemporary guidelines will position ACE inhibitors ahead of angiotensin receptor blockers for the management of hypertension and to confer cardioprotection in this patient population. Because of studies like ONTARGET and VALIANT, angiotensin receptor blockers have been increasingly viewed as similar if not superior to ACE inhibitors in terms of cardioprotection. In terms of patients with chronic kidney disease particularly due to diabetes, angiotensin receptor blockers have long been associated with preservation of renal function. Of course, these patients are also at risk for cardiovascular disease and so there was temptation to preferentially use ACE inhibitors in this group as well. Once again, now that we have studies such as, ONTARGET and VALIANT, treating patients who have chronic kidney disease with angiotensin receptor blockers is particularly attractive because of the low incidence of side effects with these medications and because these studies have suggested that the cardioprotection seen with ACE inhibitors also applies to this drug class. May I borrow this figure for a presentation? Hi Dr. Weinstein…. 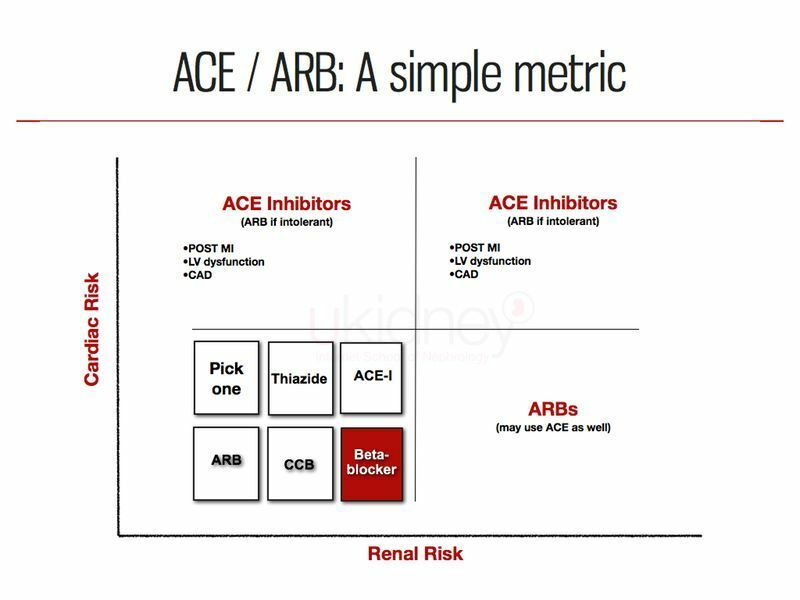 I like your argument very much … I used the same rule to choose between both drugs..Beside most of ACEi needed dose adjust depending on GFR .. None of the ARB needed it … but how about renine direct inhibitors? When do you use it if you are using it at all? The best answer to your question will come when the ALTITUDE and ASTRONAUT studies are completed. In the meantime, I believe the role for DRI is to add on to ACEi or ARB for lowering BP, particularly in patients with elevated albumin excretion. The DRI class can also be used in the absence of albuminuria as add-on to ACEi or ARB but their use is especially important when albuminuria persists. I believe that the use of DRI-based combinations will eventually prove to be distinctly different from ACE/ARB combinations since the latter raise plasma renin activity (PRA) reflexively whereas DRI obviously lower PRA. And we have known for some time that PRA elevation is associated with adverse cardiovascular outcomes. The results from clinical trials with DRI will be very interesting. Either way, they will be very informative for those caring for patients with Diabetes and/or CKD. This is a very clear explanation of this difficult question. Couldn't one make things simpler though by just prescribing ACE OR ARB to all patients and not distinguishing? is there any difference between t1 and t2 diabetics in term of whether u use arb or aceis ? @drshahir my short answer is no. I will create a new question specifically to address this.